My grandfather heard that first in 1962 when Shoppers Fair, a discount department store chain, opened in Jackson. We heard it when Westwood Mall opened in the 1970’s with a Circus World store (eventually becoming a KB Toys). We heard it in the 1980’s when Meijer opened their second store on the east end of town and Kmart opened a new store on the west end of town. We heard it in 1990 when Target came to town. We heard it in 1993 when Toys R Us opened. 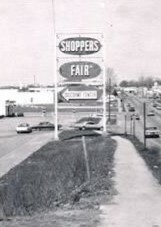 Shoppers Fair closed in 1974. KB Toys is gone. Kmart left when we did. Toys R Us left only a year after us. Montgomery Ward left Westwood Mall a couple decades ago. Younker’s is leaving Westwood Mall as I type. Jackson used to have a Woolworth store, a Field’s department store, a Jacobson’s department store, and an A&P grocery store—all defunct retailers now. Retailers come and go. The retail landscape changes. Stores open and close. We can look at Sears filing bankruptcy as just the natural evolution of retail. They had a good run, but now it is over. In fact, I’ll go out on a limb right now and predict the eventual demise of Walmart. It might be fifty or one hundred years from now, but history shows us no retailer lasts forever. The only problem with simply dismissing Sears as an eventuality is that Sears was once on top of the world, both figuratively as the largest retailer in America as recently as 1989, and literally when they opened their tower in Chicago in 1973. Their fall is far more educational to the independent retail world than Toys R Us and their debt problems caused by venture capitalists. As a student of retail, I see two turning points for Sears starting their downward slide that incorporated the other five “lessons” I listed yesterday. One was in 1993 when they discontinued their catalog. We’ll talk about the other one tomorrow. PS There are several reasons why an independent retailer closes shop including retirement, illness, death, boredom, new opportunities, local market collapse, and competition. The big boys close for one reason and one reason only—Cash Flow. It is the decisions that lead to cash flow problems that I find most interesting. There is a group on Facebook for people who grew up in Jackson, MI. The posts are mostly, “Who remembers …?” so that former Jacksonians can reminisce about days long past. A recent post was about Toy House. A couple hundred people waxed nostalgic about visiting the original store in the 50’s and 60’s. Several people mentioned the Catalog Sale, something my grandfather started early on. The Catalog Sale was a two-weekend sale, once in October, once in November, where people brought in their catalogs and we matched the catalog price on any toy we had in stock. Our goal was to keep the sales in town. The most common catalog was the Sears Christmas Wishbook. We ended the Catalog Sale in the early 1980’s when it turned out our prices were usually sharper than the catalogs at that time. The event was no longer a draw. 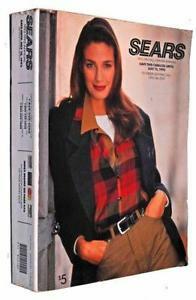 By 1993 even Sears had stopped producing their catalog. Times change. Retail shifts. Today Sears has filed bankruptcy. Sears was Amazon before Amazon with their mail-order catalog business that allowed you to buy almost anything you could imagine from the comfort of your own home. Sears was Walmart before Walmart when they dominated the retail landscape in the 1940’s and 50’s by offering a wide variety of merchandise at low prices. By 1969 Sears was the largest retailer in America with a larger market share of categories like home appliances than any retailer has ever had since. Four years later they completed construction on the tallest building in the world. Sears also was a pioneer in retail, with legendary sales training, teaching their sales staff how to upsell and not sell from their own pocketbook. They were taught how to sell on features and benefits. They had their own credit card (which eventually became the Discover Card). They had their own insurance agency (which became AllState). The easy blame is going to be Amazon and Walmart. Amazon out-Searsed Sears in the mail-order business. Walmart out-Searsed Sears in the commodity goods business. Yet when was the last time you truly thought of Sears as a convenience-based place to buy goods? They dropped their catalog back in 1992, two years before Amazon launched. And with well-known economy brands like Kenmore, Craftsman, and Diehard, tons of cash, and superior vendor relationships, Sears was well-positioned to destroy Walmart in the race to the bottom. Yet they dropped faster than a greased baton at the blind relays. The answer is quite simple. Sears got away from their competitive advantages and Core Values. Convenience and Commodity Brands were only two of them. The one I believe they truly missed was their sales training. When was the last time you were blown away by the customer service at Sears? Toys R Us got away from their Core Values in 1992 when Walmart surpassed them in total toy sales. Sears did the same thing over the years as they gave up the advantages that brought them to the table. There are several (contradictory?) lessons in all of this. New competitors will try to beat you at your own game. Don’t give up your advantages. We’ll explore these concepts over the next few days and try to learn from their mistakes. PS It is never a good day when a legacy retailer such as Sears files bankruptcy. If we don’t learn from their mistakes, though, then we’re likely to make the same ones ourselves. As I’ve always said, Retail is not Rocket Science. Rocket Science is actually math for which you can solve all the variables. Retail has variables and equations that never fully resolve. The lessons, though, are fascinating. I was at Great Lakes Crossing Outlet Mall in Auburn Hills, MI the other day. It is one of the few malls I truly enjoy, partly because it has an aquarium (I have an oceanography degree), a LEGOLand (I used to sell toys for a living), and a Bass Pro Shop (I used to lead wilderness trips and still love to go camping). With Haggar, Levi, and Bose stores, and tons of seating in the walkways in front of the ladies clothing stores it is definitely a man-friendly mall. The place was hopping. Whoever said malls are dead hasn’t been to this mall. The main aisles were jammed with people on a lazy Sunday afternoon in late August. It wasn’t a back-to-school crowd. It was just people out shopping and having a good time. The food court was especially crowded. The line at Starbucks snaked all the way around their kiosk. Almost every restaurant in that food court had a line four or five people deep. Two restaurants in particular had no lines at all. As I sat eating my pizza, I watched both restaurants with interest. Three young girls approached one restaurant, stared at the menu, and walked away. A mom with a kid in a stroller stopped at the other restaurant and ordered her meal. In the time it took me to eat my pizza, that was the only paying customer at either of those two restaurants. All the other restaurants had lines of people. It wasn’t like these restaurants were serving fried crickets on a stick or something else not on the American palate. In a busy mall they weren’t getting the benefit of any of that foot traffic. Somehow, either through previous reputation, the signage in their restaurants, their pricing, their selection, or their attitude, they were idle—even with plenty of customers all around them. All the foot traffic in the world won’t help you if there is a flaw somewhere in the business. It might hide the flaw for a little bit, but until you find and fix that flaw, you’ll never grow. The reverse is also true. If you have a fabulous business, your location may hold you back a little, but not nearly as much as you think. 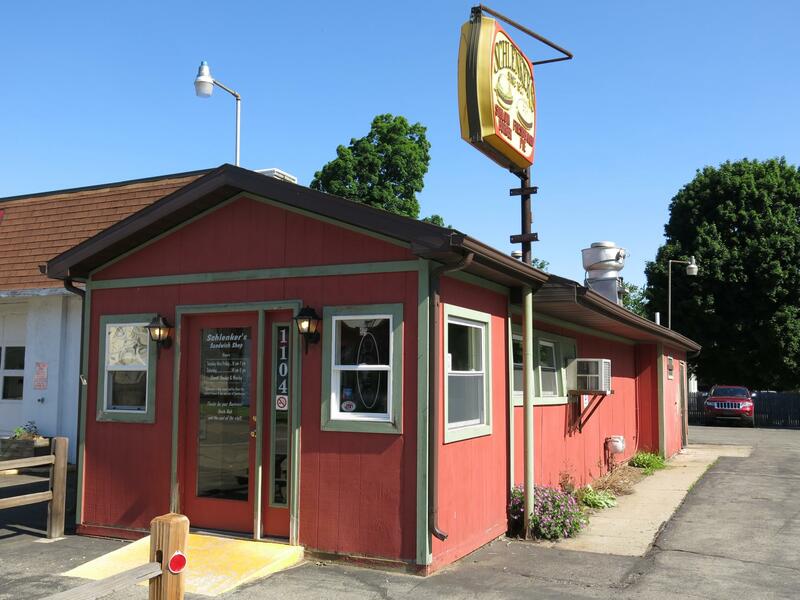 One of my favorite burger joints has been in the same location since 1927. The road was a dirt road back then and the location is still well off the beaten path. The only foot traffic they get is the traffic they generate themselves. The restaurant is just a counter with limited seating. Yet the business is still going and growing after 91 years. Just last week new owners took over. Yes it was a viable enough business to sell (something very few restaurants can say). The big change the new owners are planning? They are thinking about adding a drive-thru to handle all the takeout traffic. Neither of those thoughts is the true path to success. I predict those restaurants at Great Lakes Crossing will be replaced by next summer. They had all the traffic they could stand but weren’t able to convert it into customers. I also predict that when Schlenker’s builds their drive-thru it will be filled with cars every day without them having to spend a dime on advertising. You are a destination store. When you act like one, you’ll draw all the traffic you need without any silver bullets or malls to do it for you. PS Even with a steady, solid, faithful customer base and a burger that was rated the seventh best in the entire state of Michigan, the other change the new owners of Schlenker’s are making is to switch suppliers to a higher grade and quality of the ground sirloin that makes their burgers so good. They have all the traffic they can handle, yet even they are answering that one question above. Are you? Self-Employed or Working for the Landlord? When Toys R Us closed their Times Square store at the end of 2015—the one with the giant T-Rex and the three-story Ferris wheel—the biggest reason given was the landlords raising the rent from $12 million a year to over $52 million a year. Yeah, that would be a hard expense for any retailer to cover, let alone one that was already struggling. While the financial model is certainly different for big-box stores than it is for indie retailers, one thing that is universally true is that there is only so much profit margin you can spend on rent and expect to run a successful business. For the typical indie toy retailer, occupancy costs (rent/mortgage and common area fees) need to be around 10-12% of gross sales for the store to be able to safely cover those costs. In fact, for a lot of businesses where keystone pricing is the norm, that number tends to hold true. For Toys R Us, that would mean doing $100-$120 million in sales at the Times Square location. I can see that as a realistic number. But to pay $52 million, they would need to do half-a-billion in sales, over $24,000/sq ft. Even Apple couldn’t do that much in that space. The 10-12% occupancy cost is a benchmark I use when talking to retailers about locations. Yes, you might pay a little more for a better location, but you should expect a little more in traffic and better clientele. Yes you can find locations cheaper, but you might have to pay a little more in advertising to draw traffic to your store. But occupancy cost is only half of the equation. Here is one other number I want you to look at. Take your salary (you are paying yourself a salary, right?) and your net profit for the year. Add those two numbers together. Who made more, you or your landlord? If your landlord made more than you, something needs to change. You aren’t working for yourself. You’re working for him. Better for you to close shop, buy the building, and rent it to some other poor sap willing to pay you to keep their hobby afloat. I know that sounds harsh, but it is a reality of business. If you aren’t making as much as your landlord, something needs to change. You need to sell more. You need to increase margins. You need to find a cheaper location. Something. Or you can just accept that your business is simply a hobby and treat it as such. I want you to make money. That’s the only reason I bring this up. PS Before you go lambasting me because your numbers don’t match, I fully understand that your industry may be completely different. If you belong to a trade organization, see if they have done any benchmark surveys to give you an accurate picture for your industry. Before you waste your breath on all the reasons why you aren’t making as much as the landlord (the only valid one being you are still in start-up phase), this isn’t about me. It is about you. I want you to be successfully self-employed. The landlords are already making too much. You should, too. PPS I’ll put my thoughts why you should pay yourself a salary and whether it is better to own or rent in future posts. I need new tires for my vehicle. I’ve been through this process before. It used to be easy. I had a downtown Goodyear Tire place. I went there. Supported my fellow downtown business. They always took care of me. Knew me on a first-name basis. It was only two blocks from Toy House. No worries. So I did what a lot of people do these days. I went online. Let’s face it. Tires are scary. There are so many different makes and models. Each vehicle has its own requirements. Without trust between buyer and seller, it is easy to feel afraid of being ripped off. I wanted to know more about tires before I set foot in a store. I wanted to research different models, check prices (last time I got tires there was a $250 difference between the tires I got and a couple other places offering the same tire), and be prepared. I’ve always been a fan of Goodyear, probably because of the Goodyear store downtown, probably because there used to be a Goodyear plant in Jackson that spent a lot of money at Toy House both as a company and the individuals that worked there. I found myself on the Goodyear website comparing different models the right size and style for my vehicle. The website was good. It had side-by-side comparisons, reviews and ratings, plus all the specs like warranty, fuel-efficiency, season, comfort, etc. I narrowed it down to a couple choices and felt a whole lot smarter. Then the website took it a step farther. I had the ability right then and there to purchase the tires online and have them installed locally. Before I clicked, however, I went to a few local tire place websites to compare prices. No one had the tire I wanted as an offering, but their pricing on the other Goodyear tires was similar to the Goodyear site. I felt a little more confident that I was getting a fair deal. The good idea at Goodyear was to get the purchase right away. Don’t let me go to a local shop and have them sell me on some other brand. When I clicked on the purchase button, it then gave me a choice of shops in the area where I could get those tires installed. Even better! I knew most of them, but didn’t have a relationship with any of them, so I chose the place closest to my home. Then the Goodyear site let me choose an appointment time. It had to be two days or more later. That made sense to me, since the shop might not have the tires in stock. I chose two days later at 10am, paid for my tires, and got my confirmation email. I will be willing to bet this website drives a lot of traffic to these tire shops because of people like me shopping online. This morning I arrived for my appointment. No tires. The delivery truck doesn’t arrive until the afternoon. Plus, even if the tires were there, the shop had already booked all their bays for the morning. The shop had only received the email from Goodyear about the shipment and appointment this morning. Fortunately for this shop, and for me, I have a wide open schedule this afternoon. So does the shop. As soon as the tires land I’ll be back and they’ll be able to get me right in. But just imagine the person who had to work their whole schedule around this appointment. Maybe you had to drop off the car before work and find someone to take you to work, then pick you up after. Maybe you had to get a babysitter because you didn’t want to take your two-year old to sit in the waiting room of a tire shop. Maybe you had a business meeting out of town in the afternoon and really wanted those new tires before making a two-hour drive. Maybe you were leaving on vacation and were waiting on another paycheck to afford the tires, scheduled the purchase as soon as possible, but now had to delay your entire vacation a day because of this fiasco? Can you imagine any of those people being completely upset and irate? Can you imagine any of those people taking their frustrations out on a tire shop manager for something that was totally out of his control? Can you imagine any of those people writing bad reviews of the tire shop on Yelp? As a retailer, I understand the flow of products. If I had called this shop directly, placed the order, and made the appointment, only to find that morning that they didn’t have my tires, that would have been one thing. But these guys were at the mercy of Goodyear (and, by my guess, the mercy of Goodyear’s web guys not knowing how to add holidays into their calendar). I applaud Goodyear for taking the steps to offer this service online. That’s what a good partner does—drives traffic into your stores. In fact, I’m going to ask if that’s the case so that next time I need tires, I can find a way to make sure my local stores get what they deserve. If you have a vendor who is truly your partner, driving traffic into your store, thank them and support them! If you have a vendor who is causing your customers to hate you because of things out of your control, send them this blog post. If you are a vendor, recognize that you can do just as much damage as good, especially when you don’t listen to your retailers. PS Just a cautionary tale for vendors … I have known several vendors over the years who have offered programs to try to drive traffic into stores, but either didn’t consult the retailers first, or ignored their suggestions. The programs always fell flat and often turned the retailers off from buying their products. Many of those vendors are now out of business. PPS This goes for retailers, too. You are a partner with your customer. Before you start offering something you think is good for the customer, you might want to first ask your customer exactly what she wants. I’ll tell you a tale tomorrow about what I learned when I asked my customers questions. My mom shops like a man. Get in, get what you need, and get out. Her lifetime of being raised in retail, her always efficient use of time, and her preference to spend her free time playing golf, playing bridge, reading books, or doing cross-stitch needlepoint all have led her to this shopping style. Oh, she’ll browse the dozens of catalogs she gets in the mail each week, but spending a day at the mall is not her idea of a great time. Even in a book store, her favorite form of shopping, she’s a hunter more than a browser. Last weekend, however, she took my boys on a shopping trip, hitting several stores in the Ann Arbor area. Of course, she hit those stores the way she always does, with purpose, focus, and an eye for efficiency. At one point in Macy’s, while my older son tried on some shorts, she asked my younger son to go find a cash register that was actually open. Her keen eye had not seen any employees at any registers yet, and she had to have her exit strategy mapped out. You might think from that description that my mom and I are mostly Transactional Shoppers who know what they want and are just on a hunt to get the best price. You would be wrong. Other than my bad habit of Diet Mountain Dew (I call it my “green tea”) that I’ll buy wherever it is on sale, I have my favorite stores where I’ll go first for all my needs. My mom is the same way. If you consistently have the stuff we want, we’ll consistently shop at your store—even if someone else is selling it slightly cheaper. The key phrase is “consistently.” If you are often out-of-stock of the items I regularly buy, I’ll stop shopping at your store, no matter how well you treat me. In a few days I’m going to give a new presentation at the American Specialty Toy Retailing Association (ASTRA) Marketplace & Academy. The title is “Profit Margin is Not Your Only Money Maker”. The premise is about how and when to sell lower-margin goods. One of those times is when you are the store people “expect” to sell that product. You don’t want to disappoint those customers and drive them away. Not all hunters are Transactional. Some like to hunt at your store because they always know they’ll find their prey. Listening to my mom regale the tales from shopping with the boys reminded me of that important distinction. What products do you sell on a regular, consistent basis, day-in-and-day-out? What products do you sell at the highest turn ratio? What products do people walk in asking for directly the most because they expect you’ll have it? What products do you know your customers will buy online if they can’t get it at your store right now? Those are your Must-Haves. Those are the products that keep your Relational Customers like my mom and me happy. PS Identifying the Must-Haves helps with your buying. If you need to add to the order to reach a better deal, add some Must-Haves. Identifying the Must-Haves helps with your marketing and advertising. Being out-of-stock often is one way to get bad Word-of-Mouth circulating. Identifying the Must-Haves helps with your overall customer service. The more your staff can say, “Yes we do!” the better they feel and the better the customer feels. Yesterday I posted a blog titled “Convenience Versus Experience.” Today in my inbox I get an email from one of the retail news outlets I subscribe. The subject line? It was a white paper on shopping habits. Yes, I had to download it. One surprising stat was that Millennials were most likely of the age groups to shop often, and they shopped equally in stores and online. Bet you didn’t see that coming. Not surprising was that the more money you made, the more likely you would shop often. It didn’t tell me how many times a customer went shopping in stores for Convenience versus Experience. One of the assumptions was that people shop online purely for Convenience and shop in stores purely for Experience. Unfortunately that assumption is false. I’ll bet you know people who shop online for the experience, or at least to avoid the experience of shopping in stores. I’ll bet you also know people who shop in stores because they want the item today (convenience). The one takeaway worthwhile is that people shop a multitude of ways by choice. The only question you have to answer is if you are giving them enough reasons to choose you. PS Even though their original question of “Convenience vs. Experience?” is flawed, the results of the survey are quite fascinating. It might be worth coughing up your spam-folder-email-address for the download. One of the fun things about moving is finding your “memory boxes”. One of mine was falling apart so I had to dig through everything and transfer it all to a new box. Yeah, that took a lot longer than it should. (Remember, one of my Core Values is Nostalgia.) One item I found that brought back a flood of memories was a short story I wrote back in 1990 about a spring break trip to Colorado and Utah. Back in 1990 my favorite author was Pat McManus, a humor writer who wrote columns for Outdoor Life, Field & Stream, and other magazines. Pat also wrote several side-splitting books about camping, hunting, fishing, and growing up in the 1930’s and 1940’s in the great outdoors. Rarely did I go camping without one of his books stashed in my backpack. It was a necessary weight. Not surprisingly, my writing style for my short story back in 1990 was quite similar to Pat’s humor. Back in 2005 Roy H. Williams told me that if I wanted to learn to write better, I needed to read better. In my notes from one of Roy’s workshops I had circled a book idea, Poem A Day edited by Retta Bowen, Nick Temple, Nicholas Albery, and Stephanie Wienrich. Poetry is the language of emotions. Advertising works best when it reaches you on an emotional level. Poetry is looking at ordinary things from unique and surprising perspectives. Advertising is giving your potential customers a new way to look at your business. Poetry uses interesting word combinations to set the mood. Great advertising uses interesting word combinations to get your attention. In that same meeting I played the opening music from Aaron Copeland’s Fanfare for Common Man, Beethoven’s Fifth Symphony, and The Who’s Baba O’Reilly. We talked about how the opening sets the mood for everything else. We talked about the importance of first impressions. We talked about rhythm and feelings. We also talked about all the “openings” a customer has at our store. It isn’t just the greeting that sets the mood. Notice how many “first impressions” happen before you even say, “Hello. Thank you for coming in,”? That’s a lot of mood setting and emotion-creating before you even open your mouth. When you read better, you write better. When you visit better stores and truly look at the moods and emotions they are trying to evoke, you’ll have better ideas for your own store. Take that list above and go visit your favorite stores. See if you can figure out who is making the best first impressions. Then go back to your store and see if you can figure out what first impression you are giving your customers. The better your first impression, the easier it is for your staff to make connections and build relationships necessary to compete in today’s retail climate. PS When you visit other stores, take good notes. When you attend workshops and presentations, take good notes. Then revisit your notes often. I don’t just look at those notes for a walk down memory lane. I read my notes from old workshops because there are often more nuggets in there than I could ever possibly remember. Sometimes when you get home from a presentation it isn’t the right time for one of those nuggets. But when you revisit it later, the timing may be perfect. PPS Yes, in some ways this is a meta-post. Notice how my blogs often start with a story? Stories are powerful tools in advertising because they get your attention, speak to the heart, and are more memorable. In other words, they set the mood and make a good first impression. If you set the wrong mood, you put up obstacles to sales. If you set the right mood, you grease the skids for sales. I was lucky in that Toy House was a downtown business, but with our own parking lot. But you should have seen how I fretted about the cleanliness of that parking lot—especially in the winter.